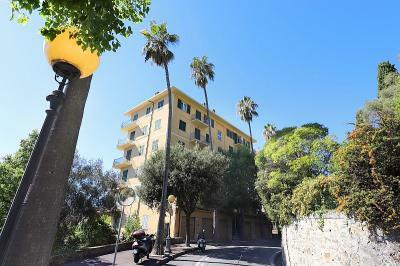 Porto Maurizio-residential area of Course Roosevelt-Apartment climate control on the second floor from the sea side and first over the garage from the street level with the surface of 97mq over the terraces. 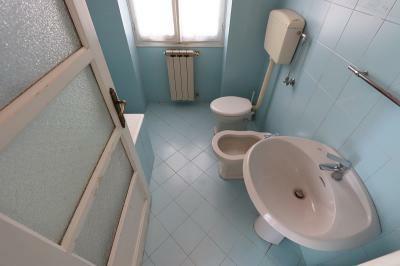 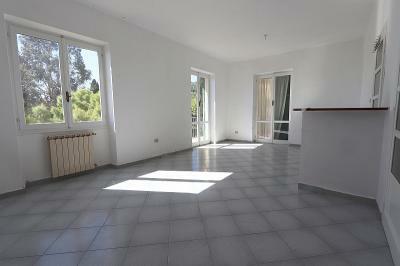 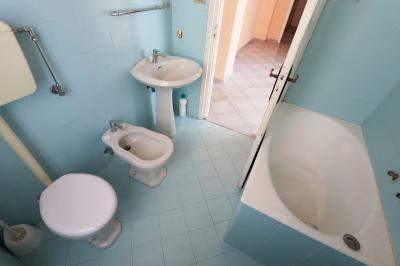 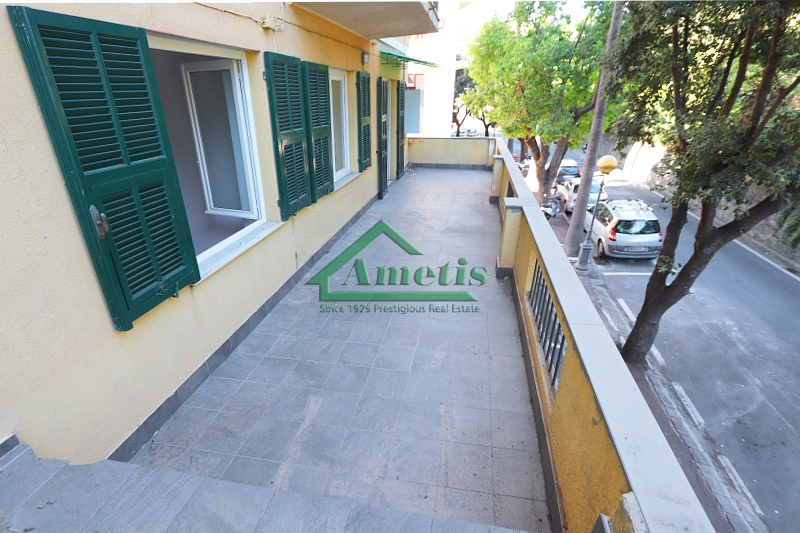 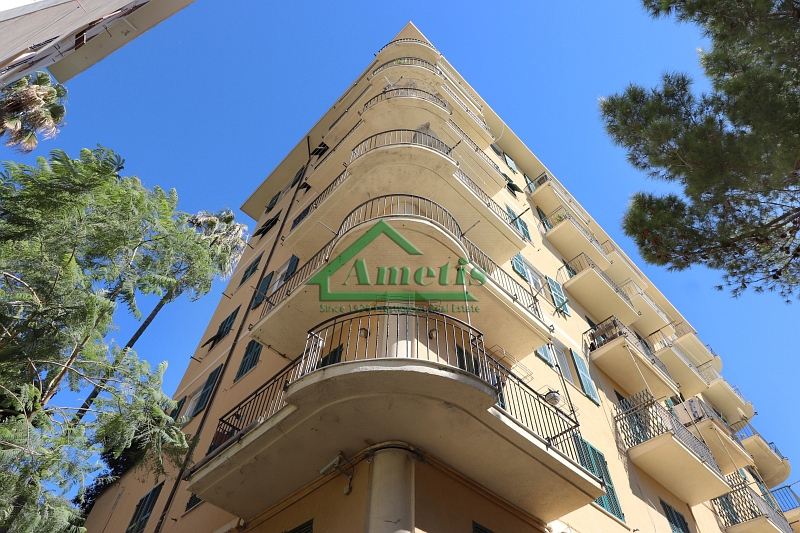 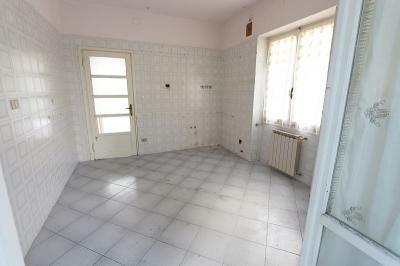 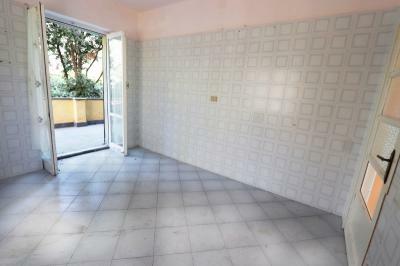 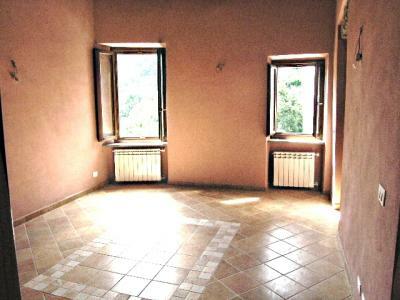 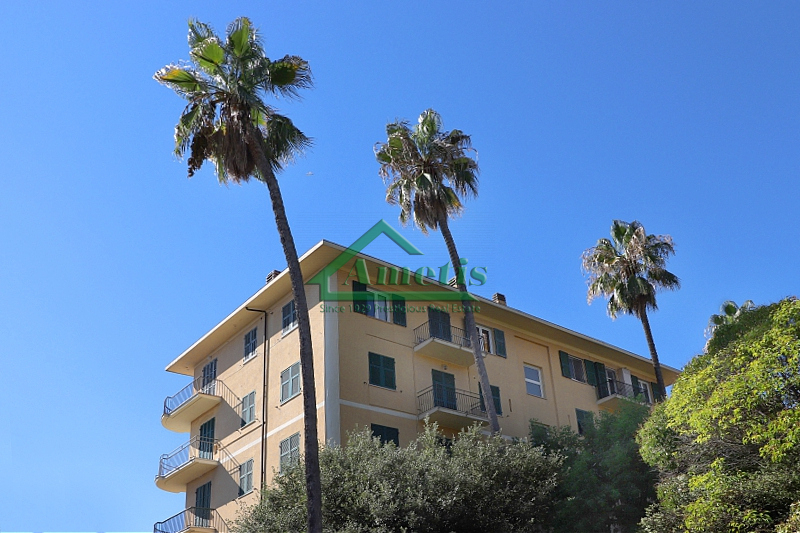 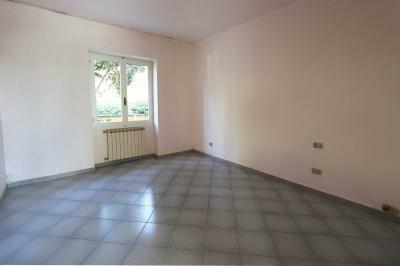 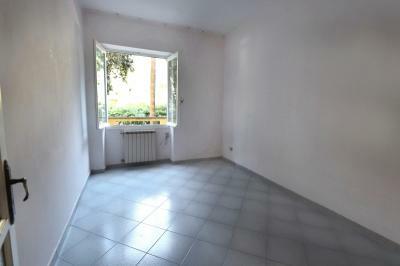 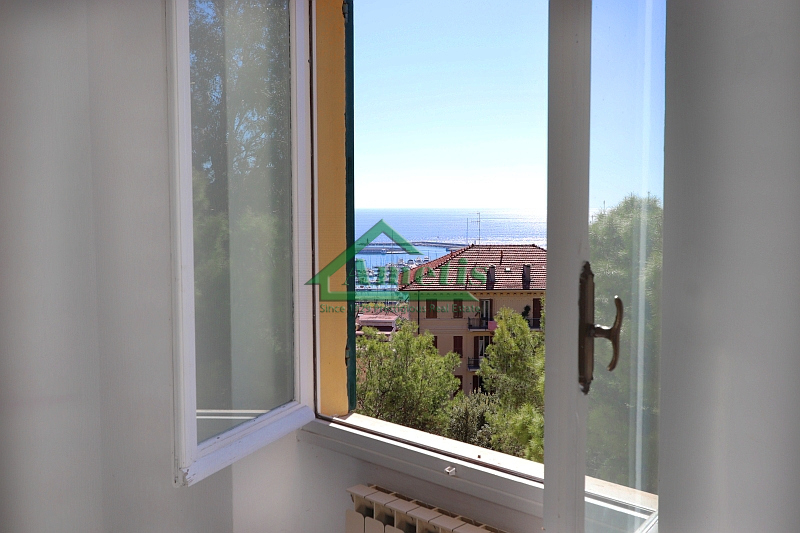 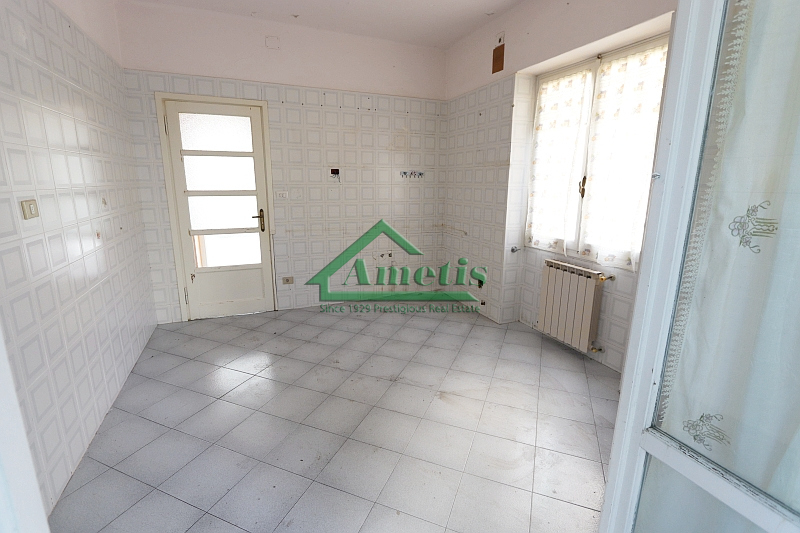 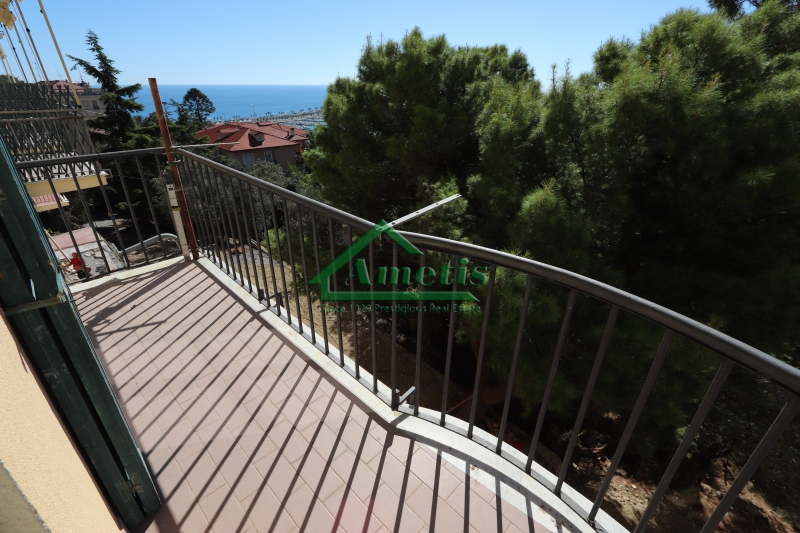 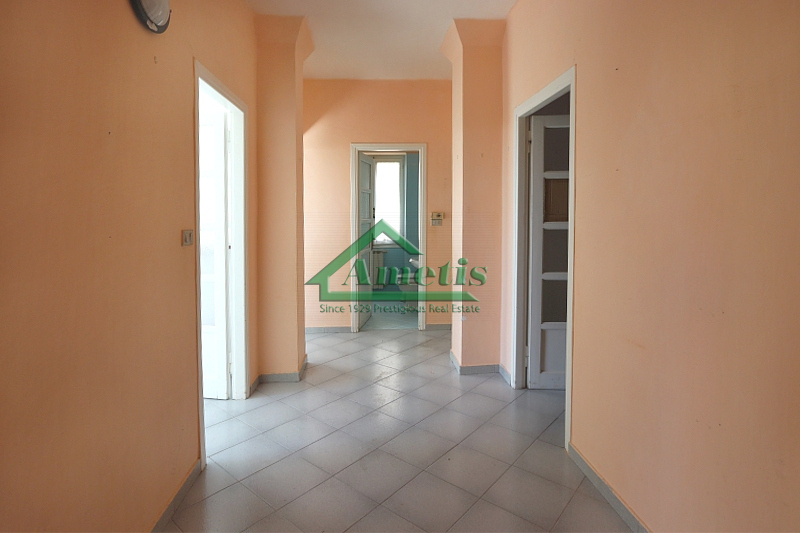 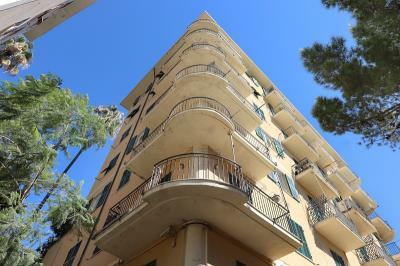 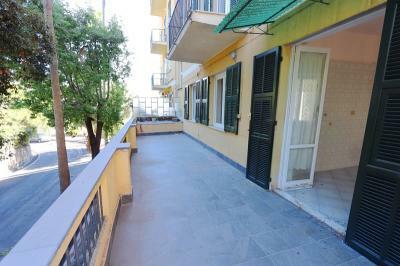 The accommodation comprises of entrance hallway, living room, kitchen, two bedrooms, bathroom, balcony 7 s.m. 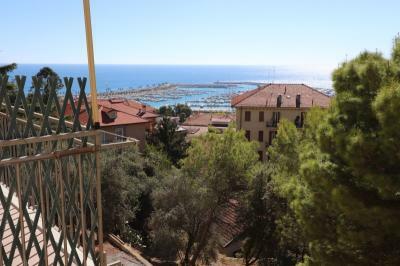 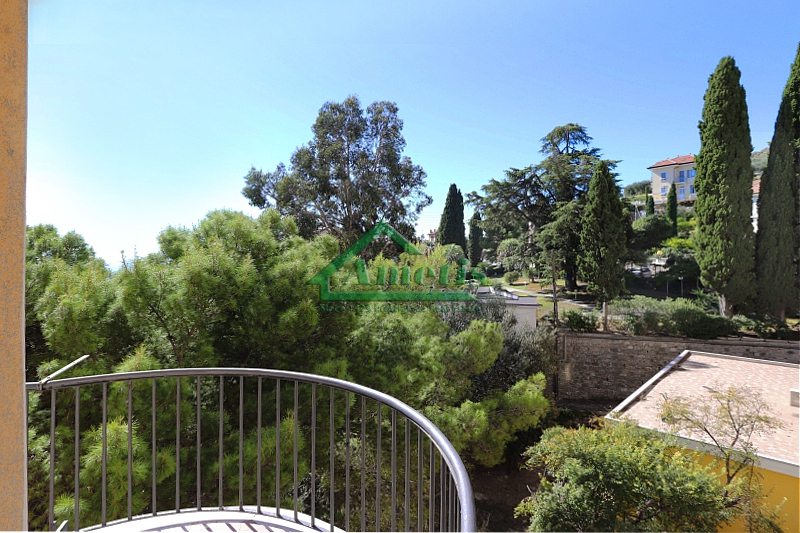 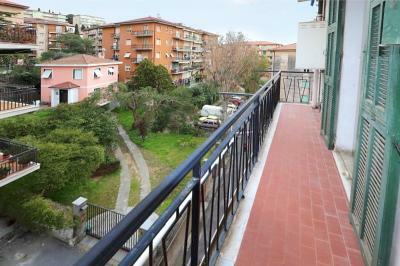 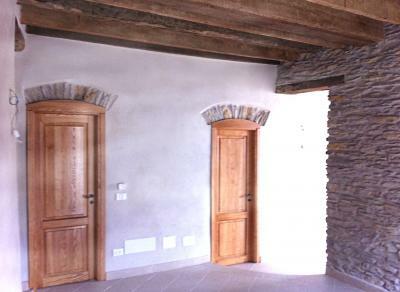 and terrace 30 m2, view of sea, position on three sides, small wine cellar in the basement. 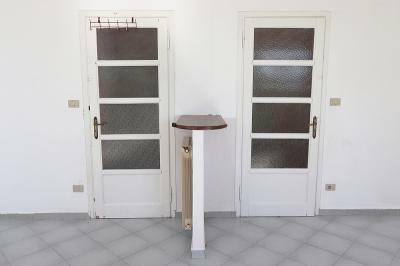 Elevator. 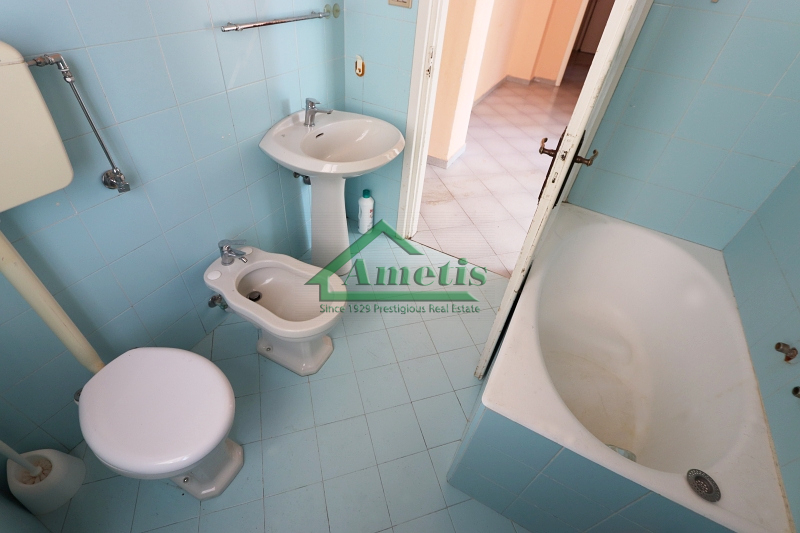 With small changes to the interior layout you can get 3 bedrooms and two bathrooms. 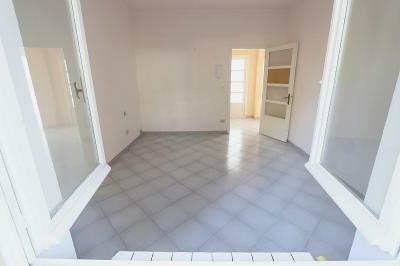 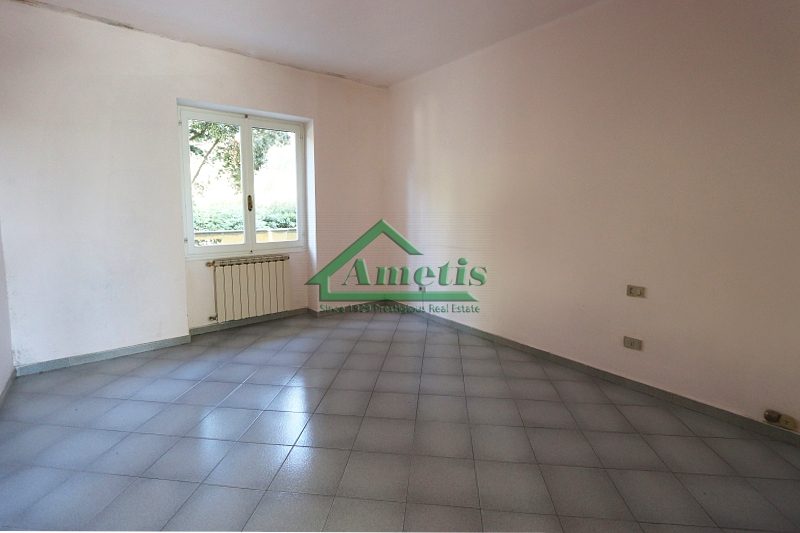 Possibility to rent or acquistere garage nearby.